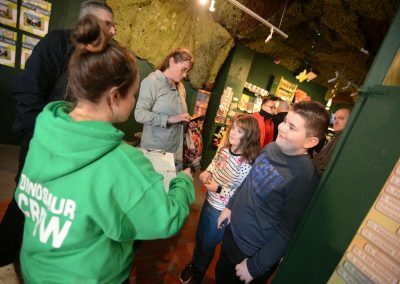 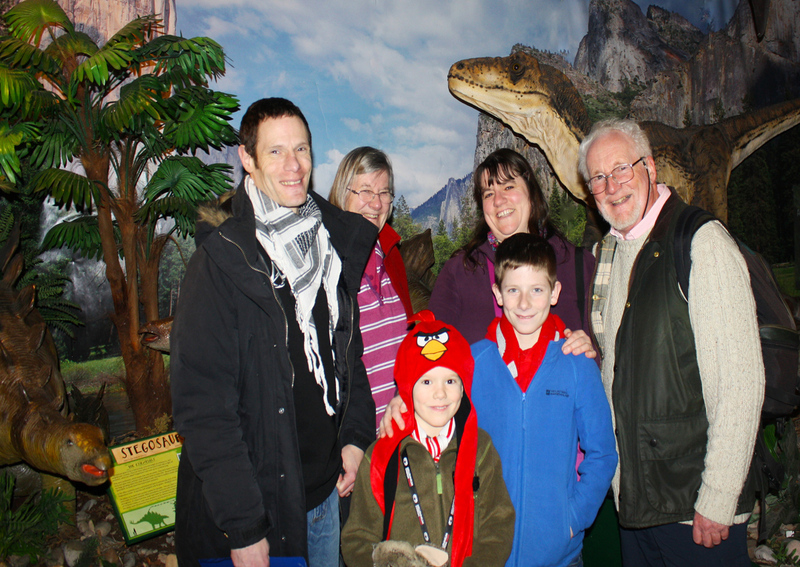 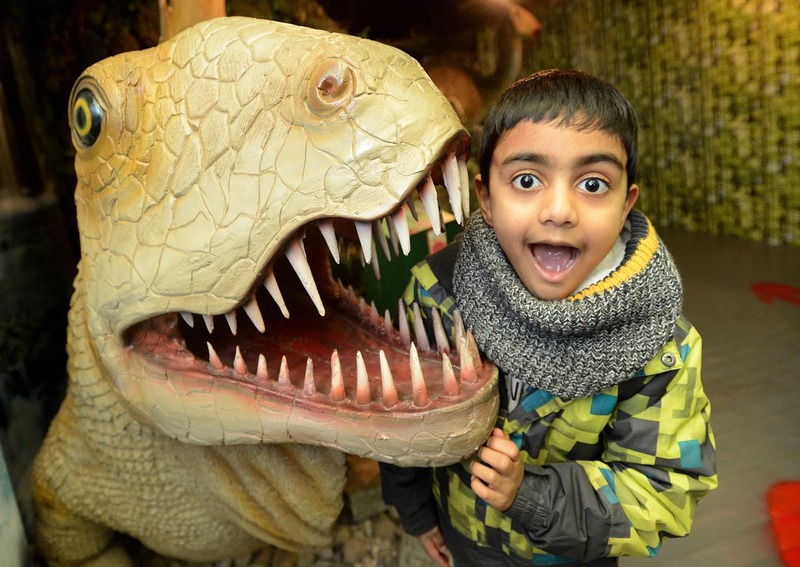 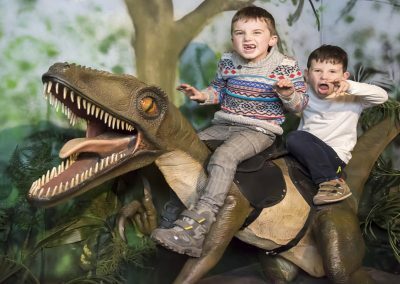 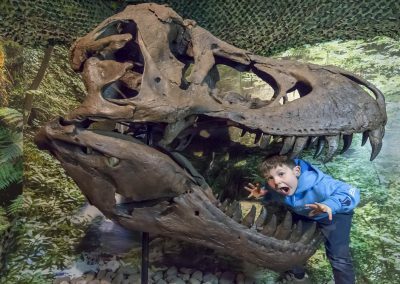 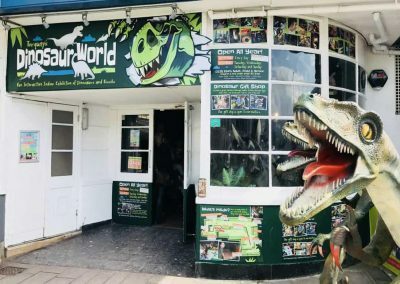 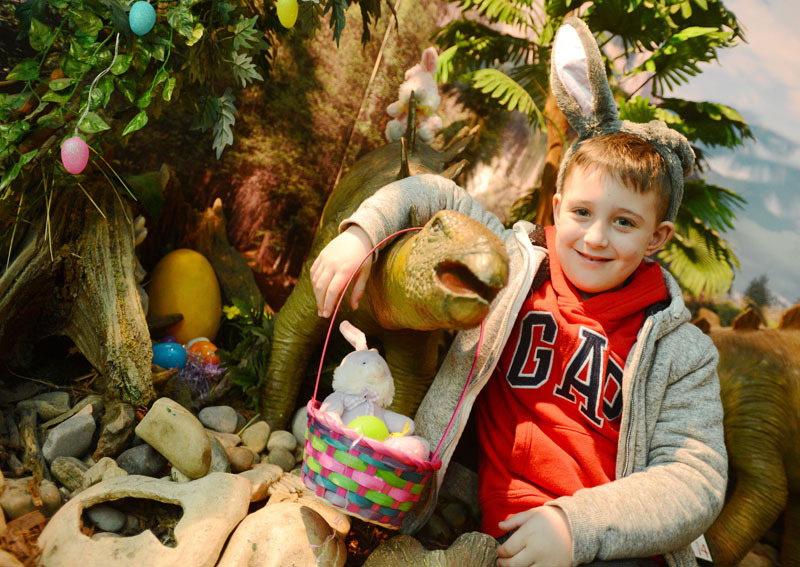 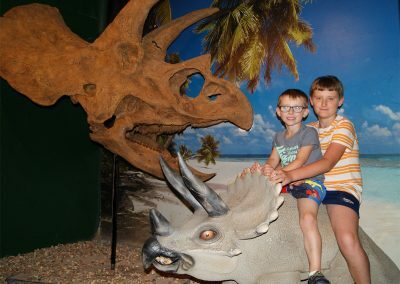 Torquay's Dinosaur World - What's in the Exhibition? 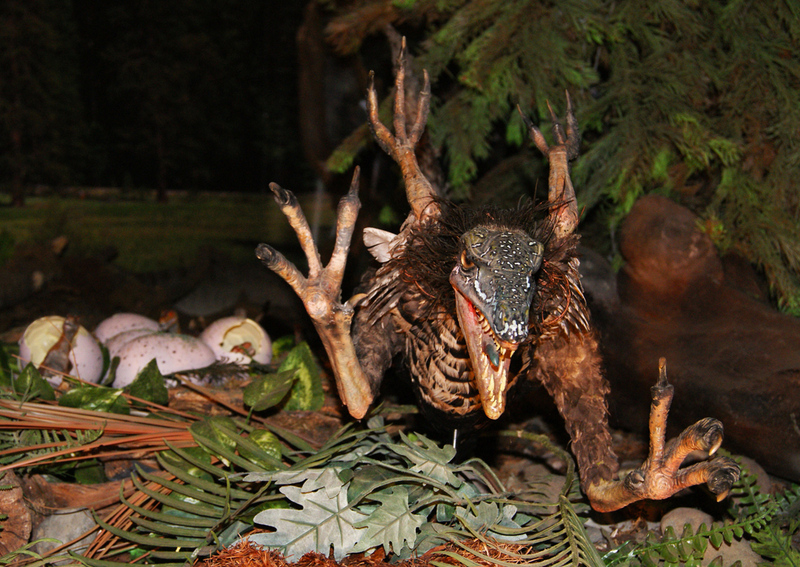 Don’t worry the Velociraptors won’t really chase you! 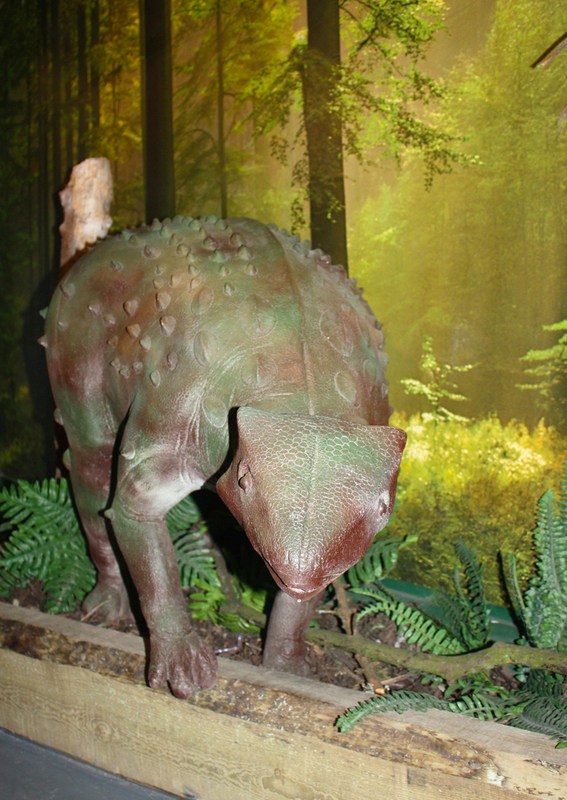 Minmi is a small herbivore dinosaur from Australia that is related to the bigger scarier Ankylosaurus. 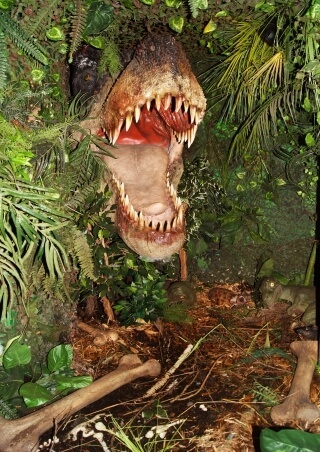 Dare you face the scary T-Rex? 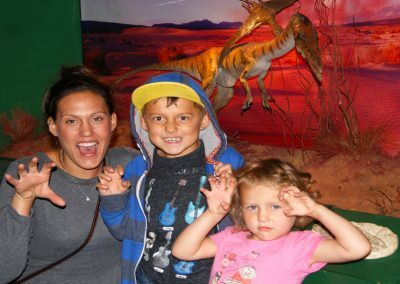 Watch out for the mummy Tyrannosaurus Rex as she guards her babies. Don’t make her angry! 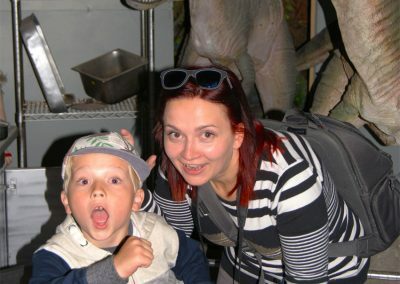 These two brave explorers get close to a monstrous Mesothelae. 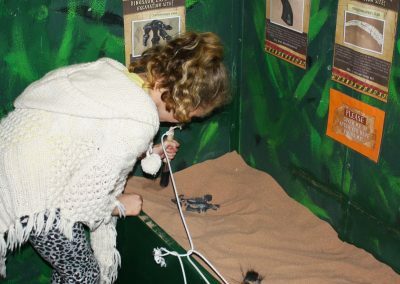 Will you be as brave? Do you want to get up close and personal with a gigantic Triceratops? Did you know the spikes on the tail of a Stegosaurus are called Thagomizers! What will you discover? Get a fantastic souvenir with a photo on Derek the Dinosaur. What will you discover the dinosaur fossil excavation areas? 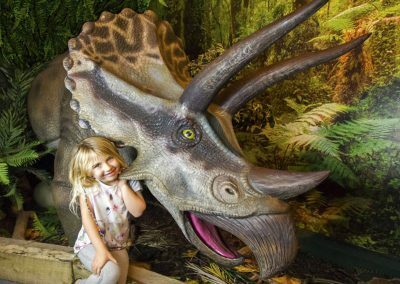 Will you dare get close to the mighty Parasaurolophus? 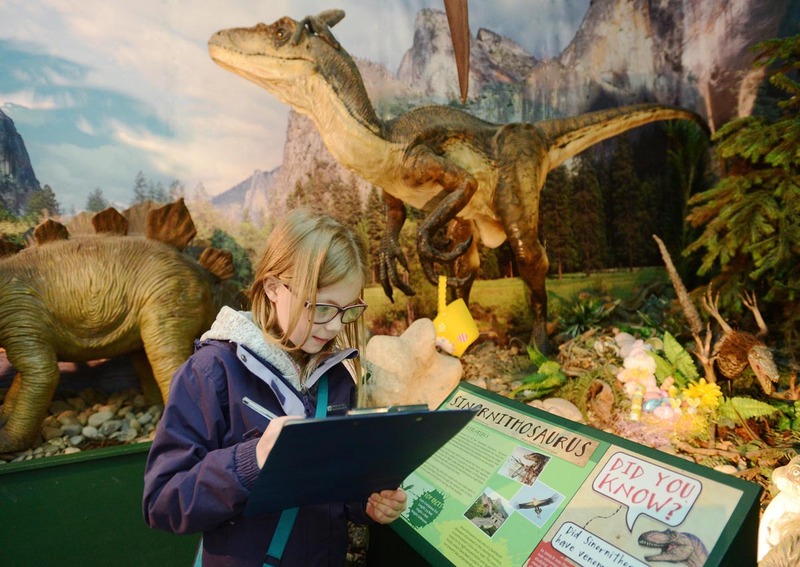 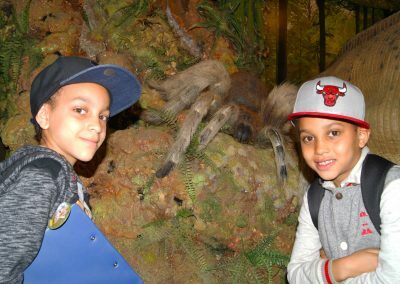 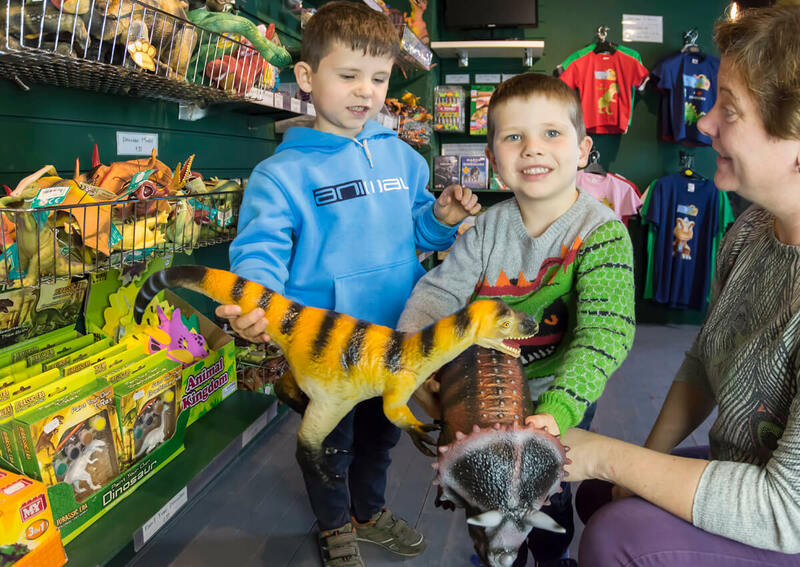 Check out our scale dinosaur scenes so you can see these amazing creatures in their natural habitats! 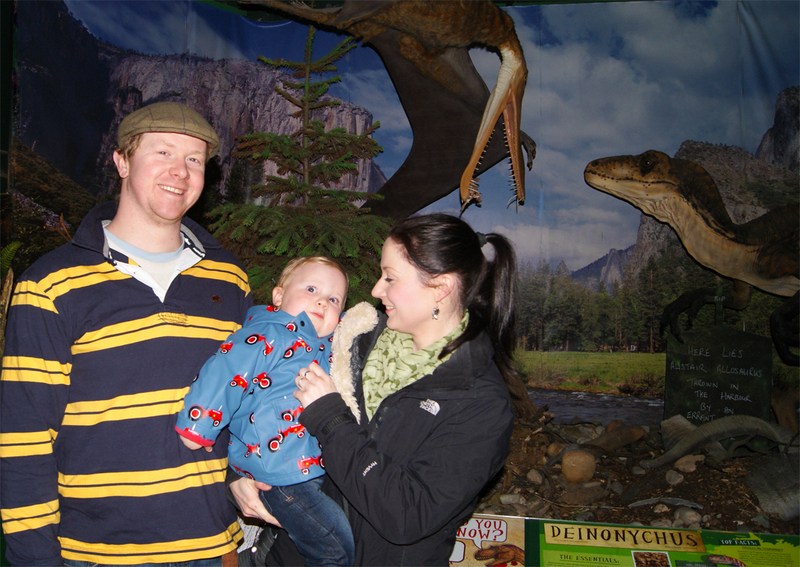 A family of explorers discover a Stegosaurus and a Deinonychus. 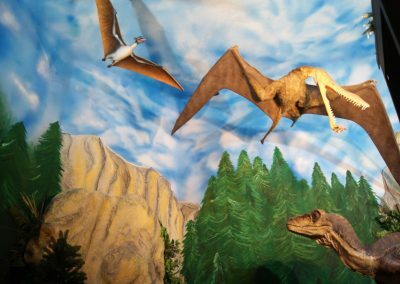 Watch out for the flying Pterosaurs! Learn about dinosaurs with our fun family explorer quiz. 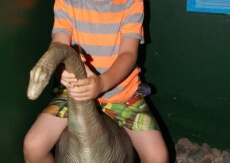 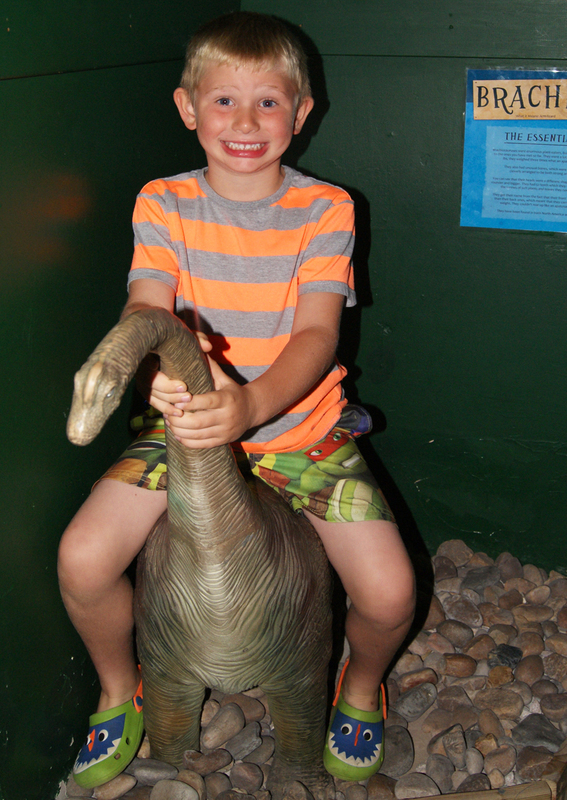 A young explorers sits on Barry the Brachiosaurus. 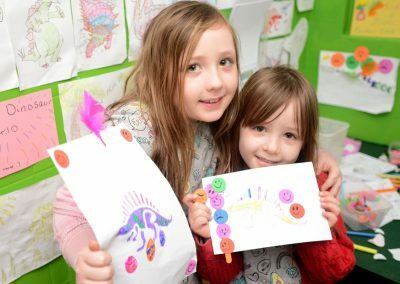 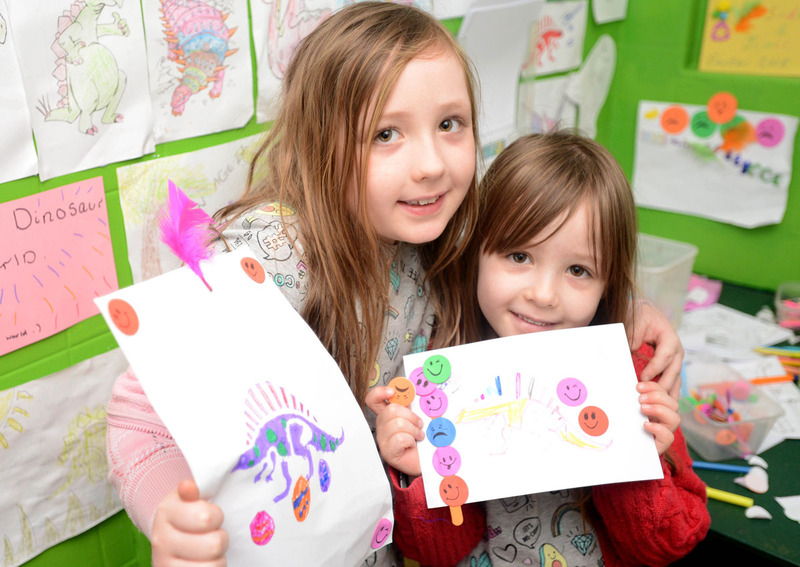 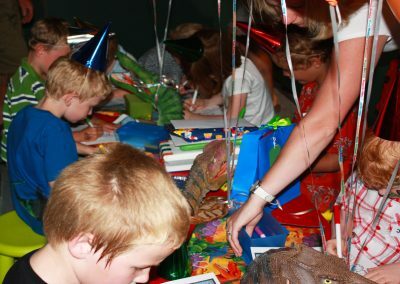 Get creative in our dino craft room. See if the Kritosauruses escapes from the deadly Deinosuchus in one of our scale exhibits. 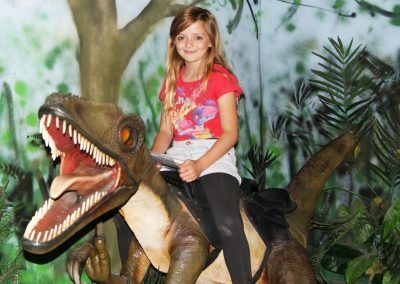 Would you like to sit on deadly dinosaur? 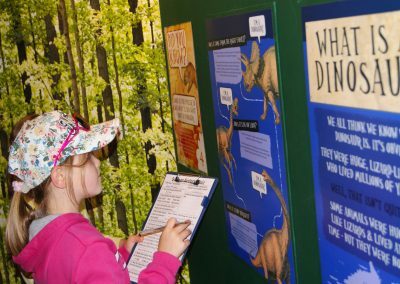 Get your Dinosaur Explorer Quiz marked to get your prize! 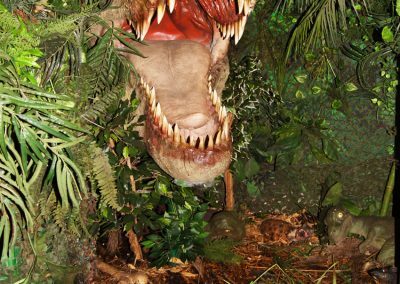 Only the bravest dinosaur explorers put their heads inside the life size T-Rex skull! 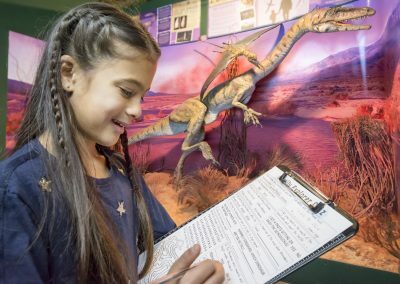 Hey Explorers! 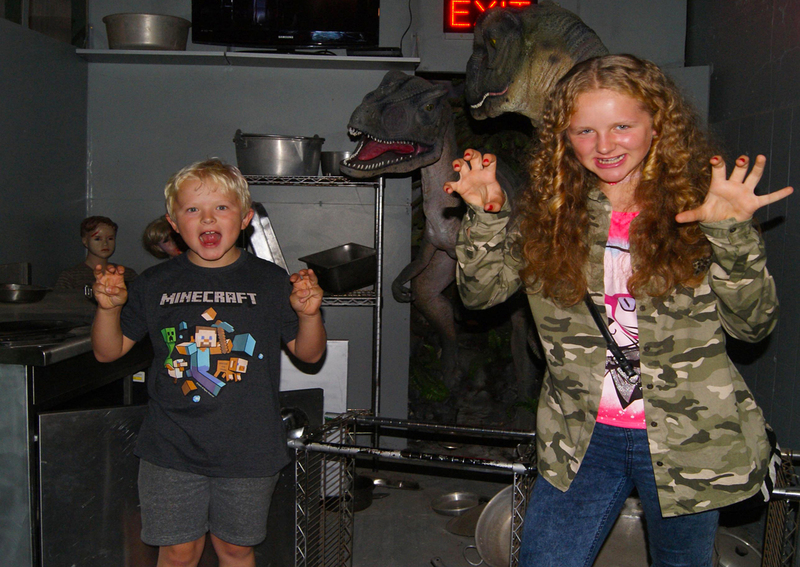 Watch out for those scary Velociraptors? 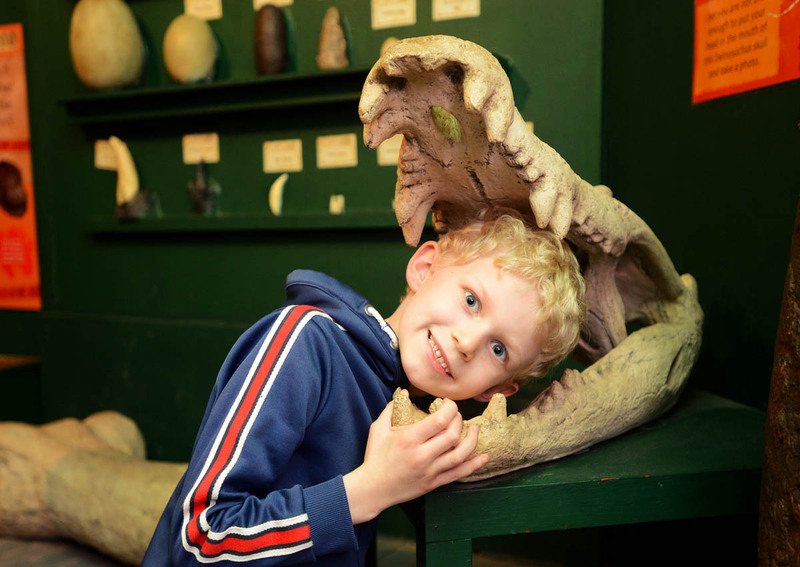 Are you brave enough to put your head in the Deinosuchus skull? 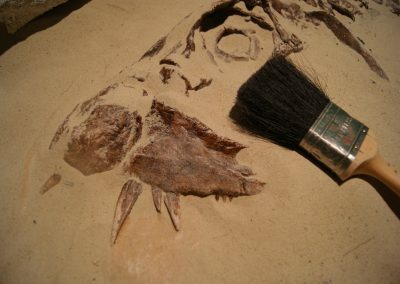 Will you find the Xiphactinus fossil hidden under the sand? 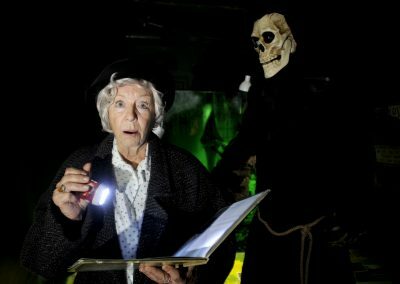 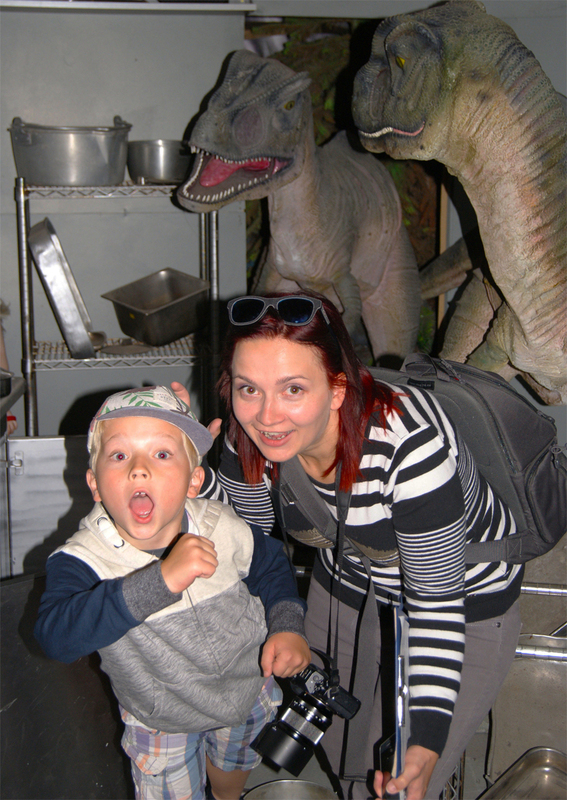 Dare you visit for the Halloween Dinosaur Ghost Story? 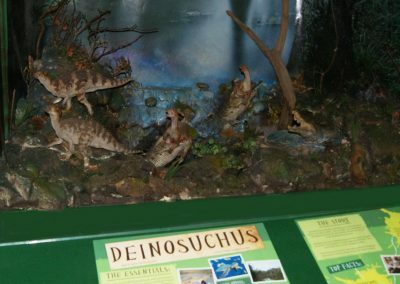 Watch out for the deadly Deinonychus on the way in? 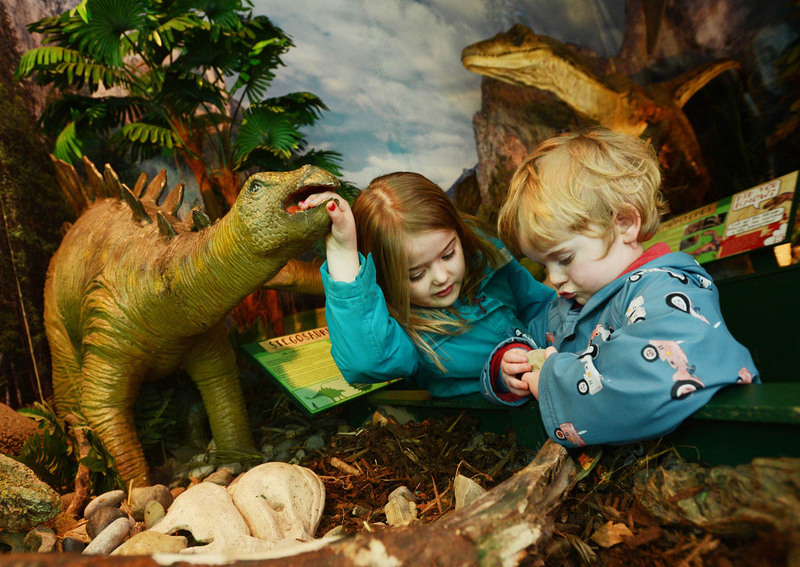 Get up close and personal with the dinosaurs. Take the fun family explorer quiz and see what you can learn about dinosaurs! 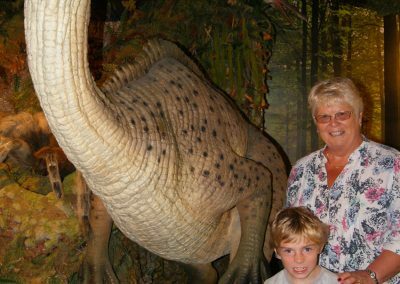 Learn why the Sinornithosaurus is a very important for our understanding of the evolution of dinosaurs. 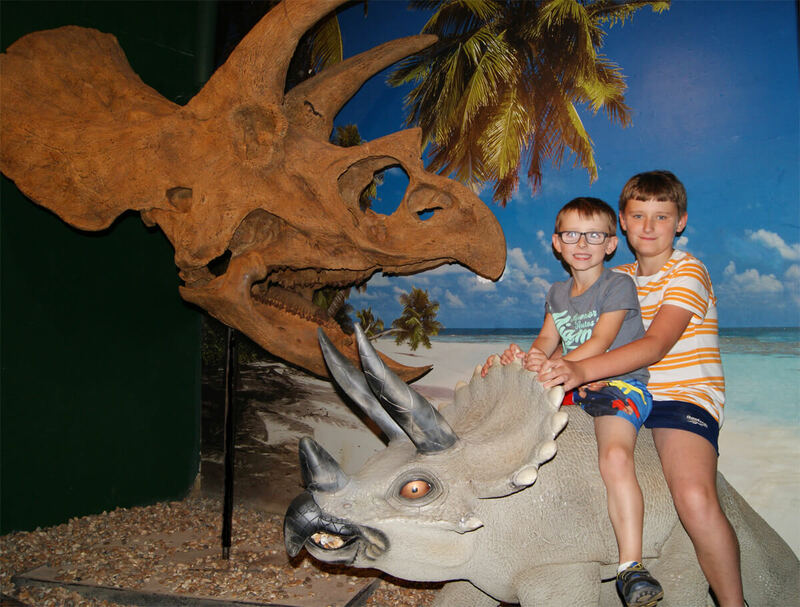 Palaeontology is the scientific study of dinosaur fossils to learn about their life and evolution. 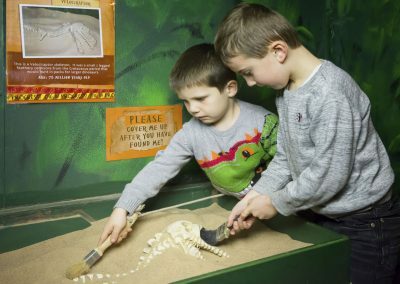 Will you discover a Triceratops horn, a Baryonyx claw or the Velociraptor skeleton? Paleontologist sits on a Dinosaur! A rare picture of a real life Palaeontologist sitting on Derek the deadly Deinonychus! 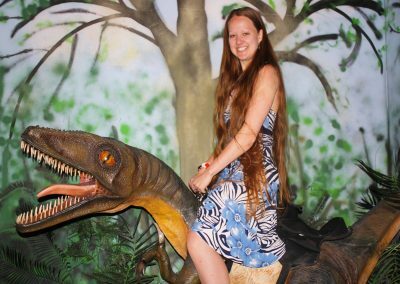 Dare you sit on Derek Deinonychus? 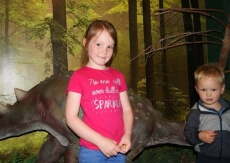 Young explorers meet a Minmi. 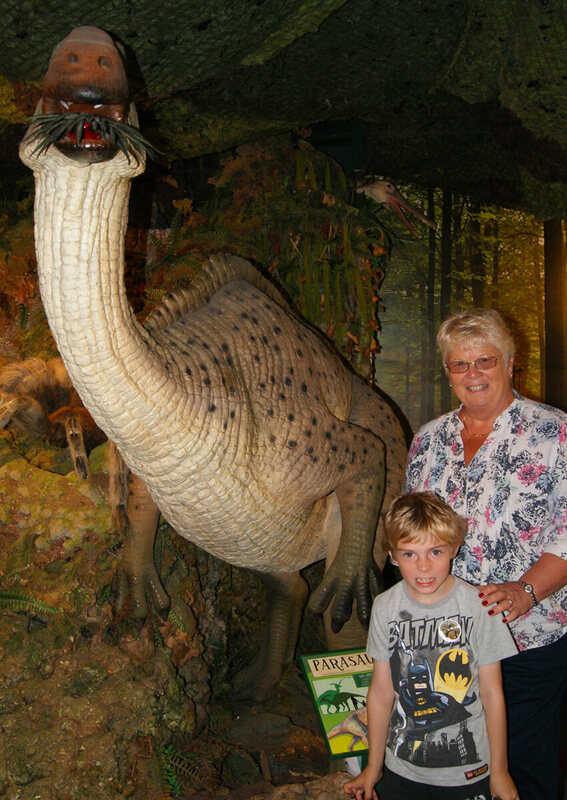 Young explorers meet one of the our many dinosaurs. 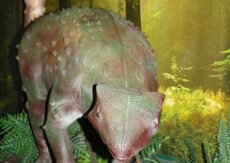 This one is a Minmi from Australia. 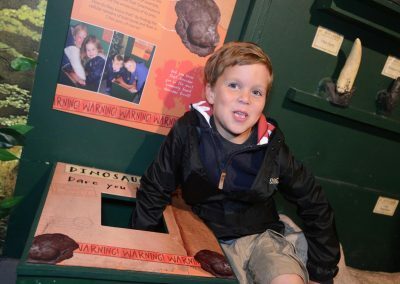 Dinosaur Explorers can be very young! Watch out for the African Pterosaur behind you! 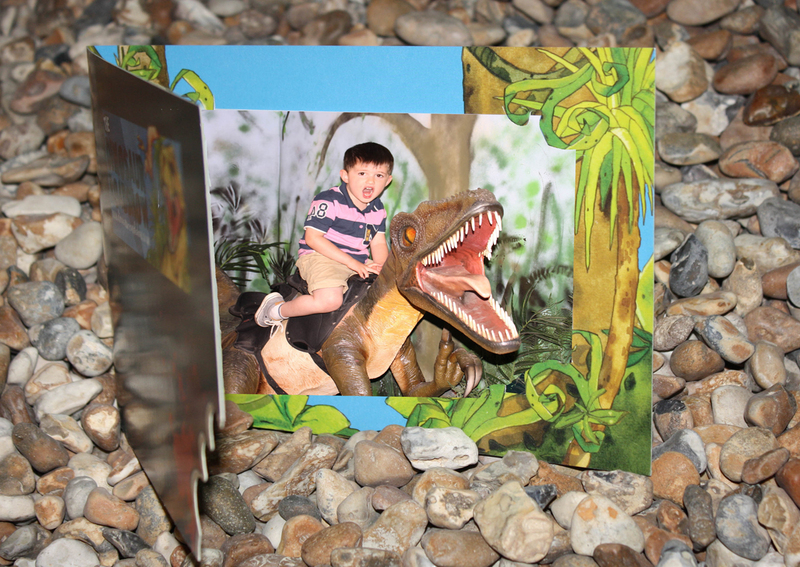 Dinosaur explorers can get a framed souvenir photo on Derek the Dinosaur. 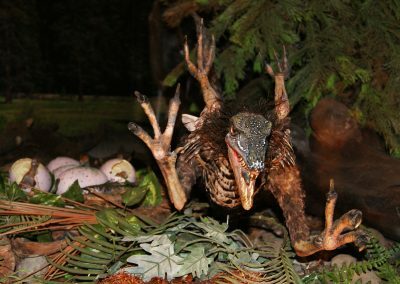 Did you see that Eudimorphodon attack the Coelophysis? An explorer hunts for fossils. 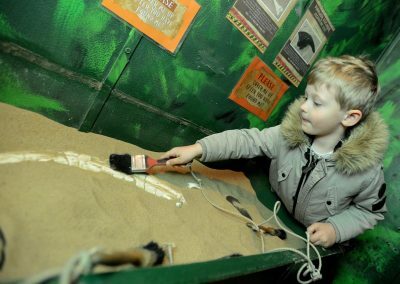 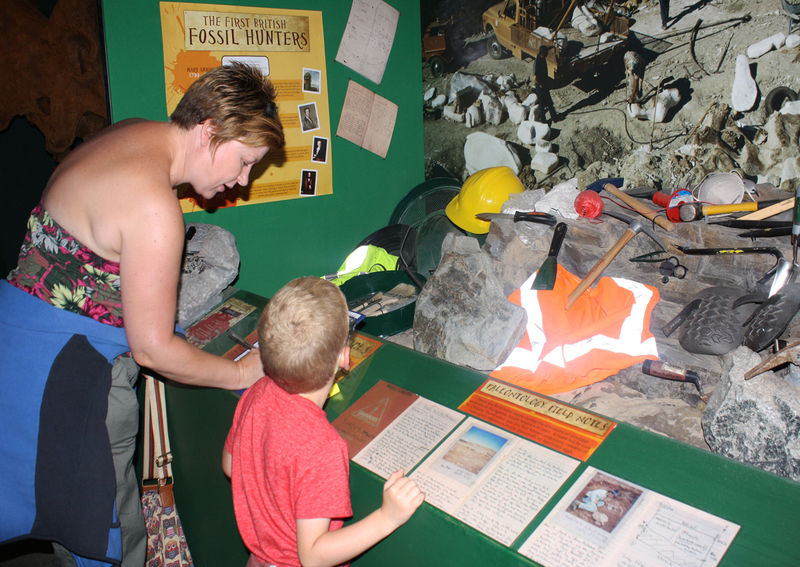 Pretend to be a Palaeontologist and dig through the sand to discover an amazing fossils. Celebrate the birthday of your dinosaur fan with a special birthday visit. 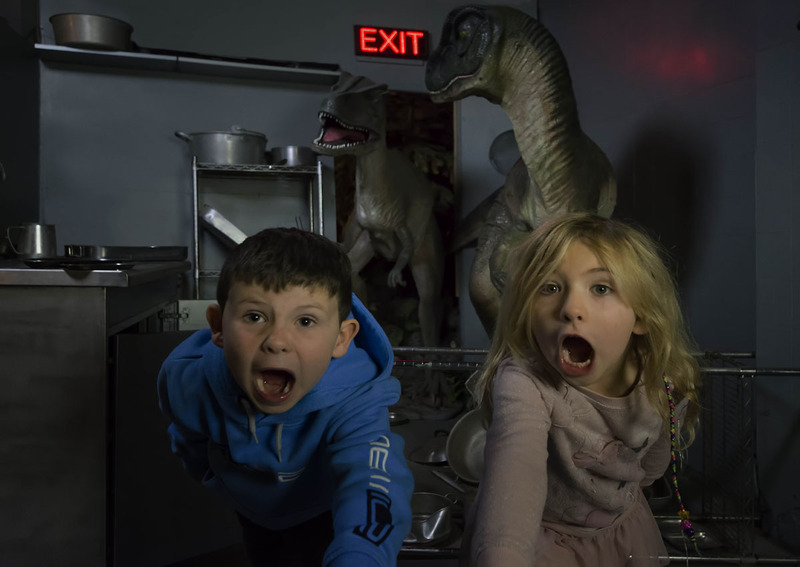 Our Jurassic Park scene scares these dinosaurs explorers! 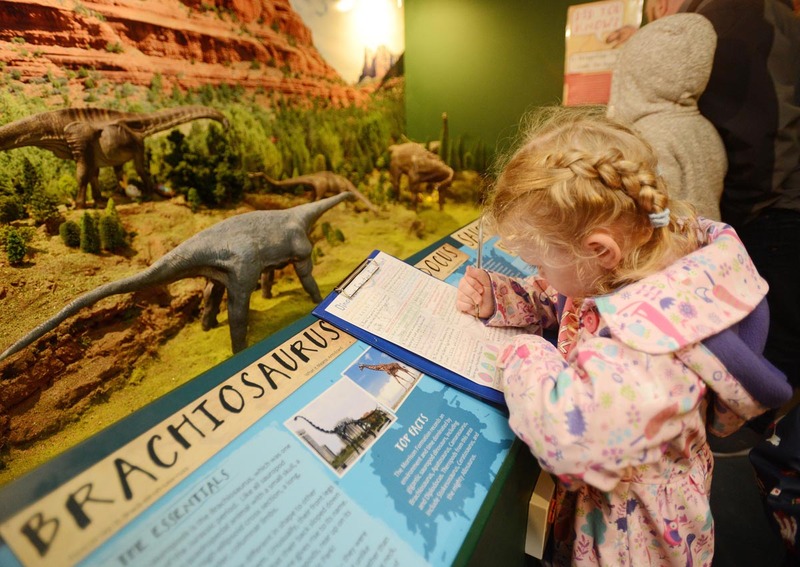 What fun facts will you learn about dinosaurs? Do you want to touch real dinosaur poo?